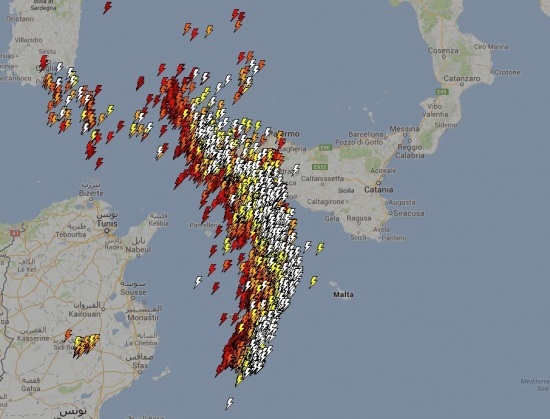 An impressive line of storms is very slowly approaching the Italian island Sicily this evening, bringing very heavy rain and probably waterspouts and hail as well. 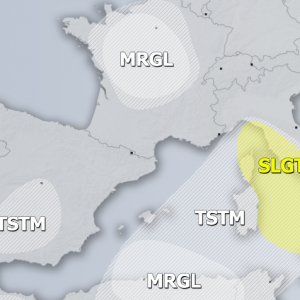 As seen in latest radar scans, convective cells are just offshore Sicily and should continue spreading ENE-wards with a gradual eastwards progress of the upper low which is currently centered south of Sardinia island. 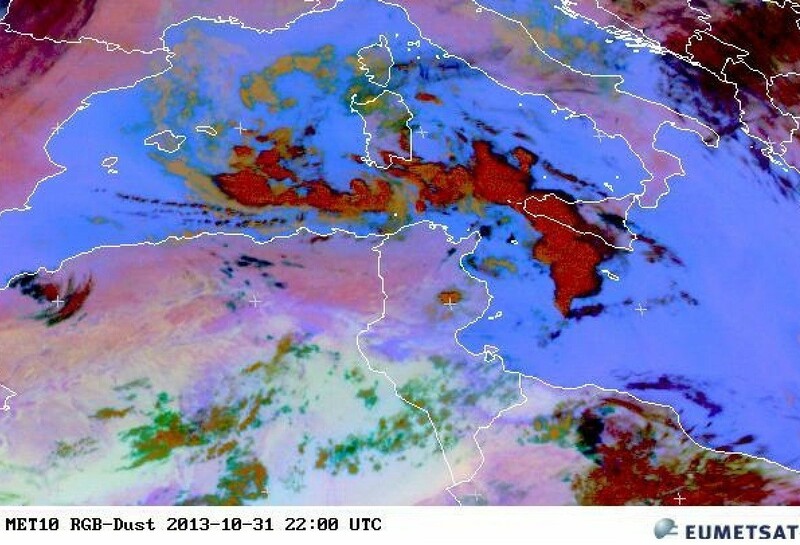 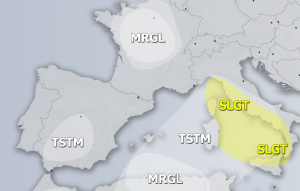 A large part of southern Mediterranean was included in the SLGT risk of DAY 1 Outlook for 31/10/2013. 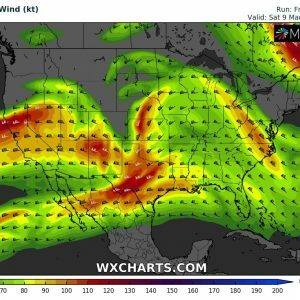 Given the very unstable airmass, LL lapse rates and buoyancy, storms are capable of producing waterspouts, torrential rain and marginal hail. 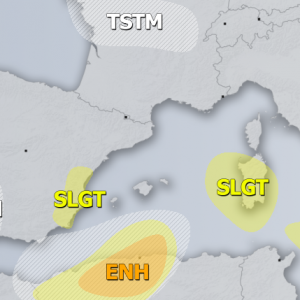 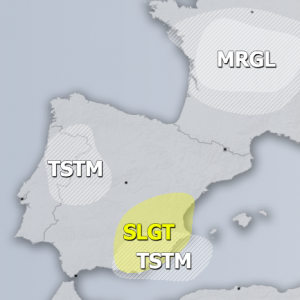 As storms should continue overnight and tomorrow, southern Mediterranean was again included in the SLGT risk of DAY 1 Outlook for 01/11/2013. 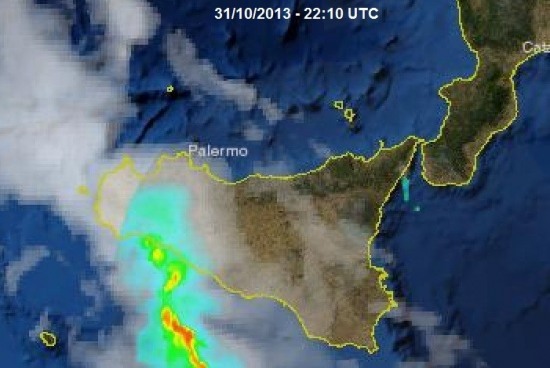 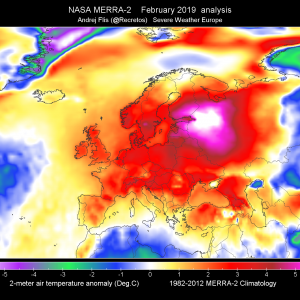 Follow the onging storms on Italy radar and satellite pages.